Our monthly rental rate is set at $3300 a month with utilities included, plus a $100 security deposit. Cleaning services are offered at $60/wk for weekly cleaning and $80/wk for daily cleaning. 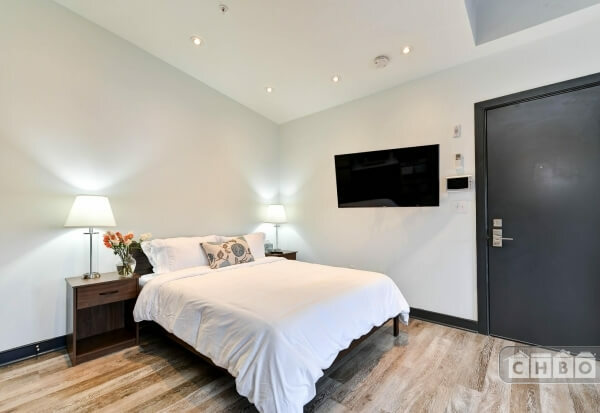 The Capitol Hill Flats boasts this newly renovated studio apartment—a wonderful combination of historic elegance, modern updates and amenities, and a highly sought after Capitol Hill location. Comprised of a well sized third floor suite, this studio is cozy and flooded with sunlight, with a lovely view of the neighborhood. 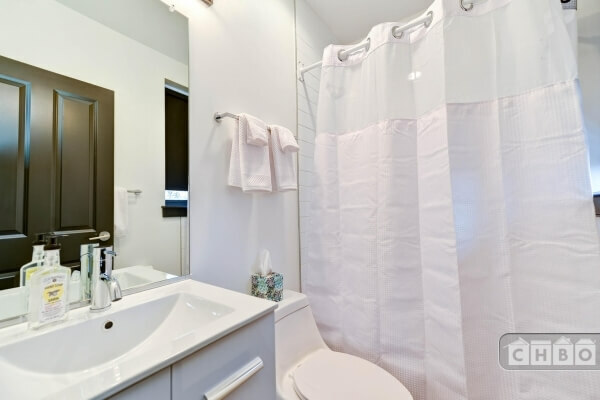 This tastefully decorated apartment is fully furnished. 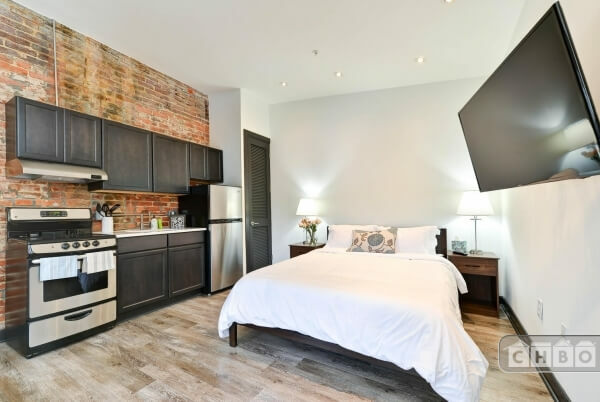 The open plan kitchen and living space features hipster-esque exposed brick walls, high ceilings, hardwood floors, a buttery leather armchair, and a flatscreen HDTV. 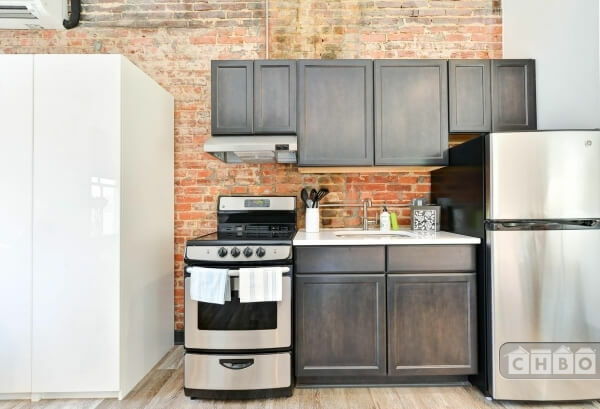 The updated kitchen comes complete with all-new stainless steel appliances and cookware and dishes to make you feel right at home. 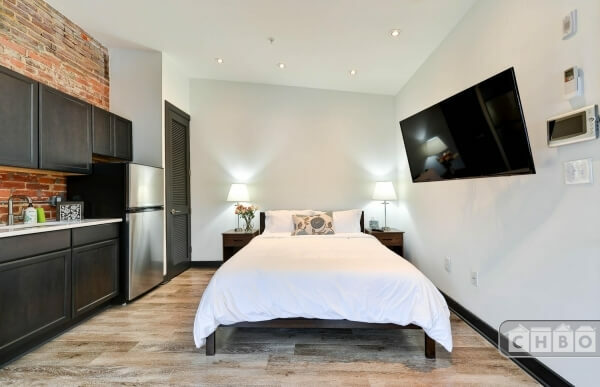 This studio offers a comfortable queen sized bed and a spotlessly clean full bath, including a shower and bathtub. 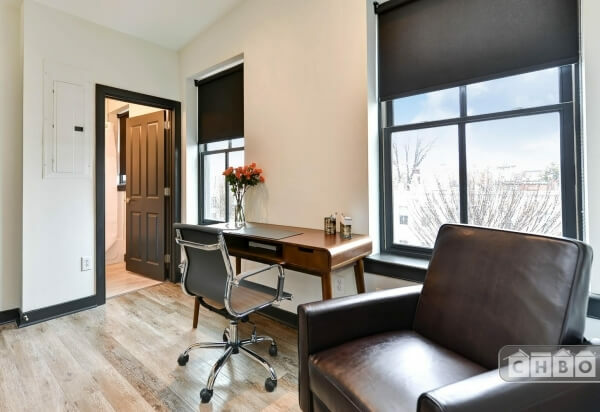 A desk is placed conveniently between two high windows, allowing you to bring your work home with you or use your laptop to surf the Internet. The studio also features a well sized closet unit to fit all of your clothing, shoes, and luggage. Cable and high speed Internet access are included, so your home can double as a space for work and relaxation. This apartment is perfect for the busy professional looking to rent on a month to month basis. You have free access to a full size washer / dryer unit in the basement of the Flats. 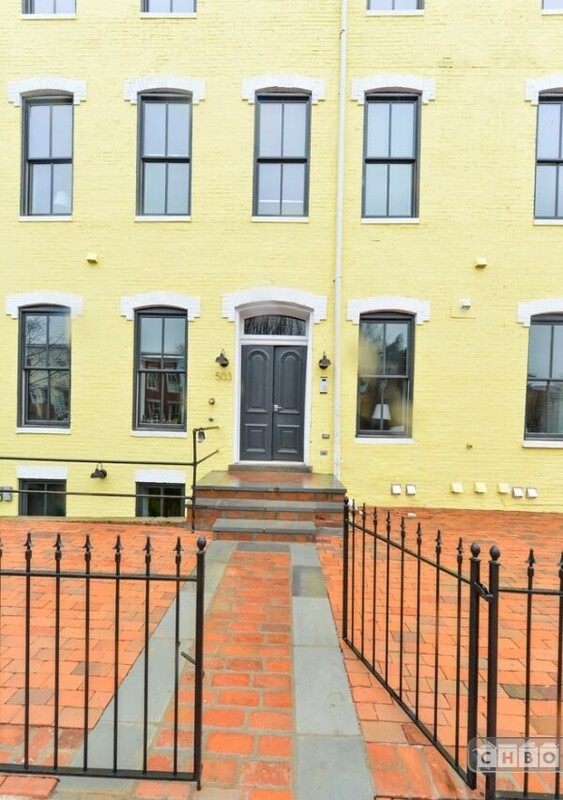 An outdoor brick patio is also available for you to enjoy the sunny spring and summer days in DC.